Two spectators are given a totally free choice of selecting a red backed card and a blue backed card. The cards are again freely mixed. At this stage you have no idea what or where the selections are... FACT! The cards are split into two face up piles, and each pile is spread. Each spectator is asked to create a picture of their card in their mind - you immediately slide out one card from each pile. These are the selections. As a kicker, the piles are also turned over to reveal all red backs or all blue backs, in total contrast to the selections! 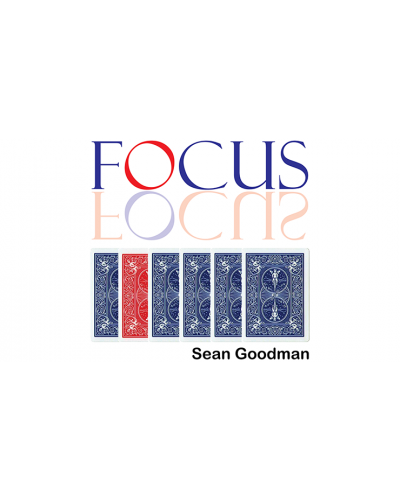 Focus requires no sleight of hand and you will be performing this within minutes. Hard-hitting direct magic that allows you to concentrate on presentation rather than knuckle-busting moves! 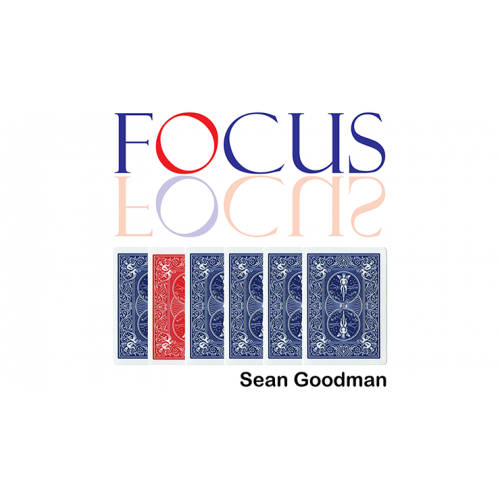 Focus is also instantly reset and can be freely examined by the spectator. There are other routines within the instructions including a single person routine, a face-up "Genetics" style presentation and Out of this World variations.